We’ve all been there before. Most of your class doesn’t seem to have a clue what you’re teaching, but then you’ve got 2-3 students that are sailing along. They’re moving and shaking in Writing Workshop. They take what you teach and somehow make it look even better than you originally taught it. There’s a variety of versions of this story, but the problem is the same. 1// We might assume we don’t need to worry about those students because they’re fine. We’ve got bigger fires to put out. Our natural response may be to just let these kiddos coast along. They are able to succeed in everything we teach. They’re just fine. But this also means we can forget about them. They don’t ask for help and don’t need as much attention as the other writers in the room. 2// We place them in a role to “support” another writer. Their job is not to teach other students. Their responsibility is not to help other students. They showed up at school today to get an education. I’ve been in the best of school situations when the message was clear that our higher writers can help support our struggling writers. But what is Johnny learning? Is he learning how to teach Writing? Is he learning how to run his own personal small group? The B I G problem here is that Johnny is not growing as a writer. From a parent’s perspective, my response to this would be, “So you can’t think of anything to teach my child? He’s in charge of teaching other students?” To be honest- I would be livid if I were Johnny’s mother. There’s a big difference between actively supporting peers and being a constant crutch for peers at the cost of your own learning journey. Okay, so I’ve laid out some of the problems we might face. You're most likely aware of, and now I’ve just made you more acutely aware of them. The spotlight is on. You can bet I’ve got some solutions to help you tackle this in your classroom. I’ve got some actionable tips for you, but some of them are going to require a little bit of work from you. 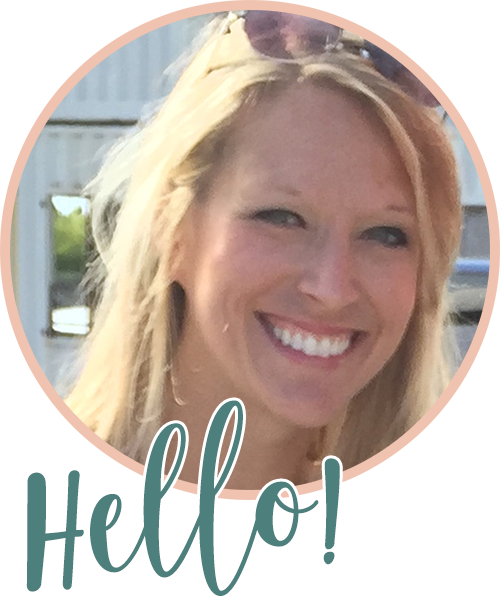 One great thing that Cruz mentions in her book is that when we have writers are outliers in our classroom because of their ability and we are not sure what to teach them, then this creates an opportunity for us to outgrow ourselves. What that means is that we're going to have to add new tools in our writing toolbox. These tools will need to be better than some of the basic things that we've been teaching within our unit. This might mean that you need to gather or read new professional books to learn more about teaching writing. I've got some links for you at the end of this post. If you're reading this blog post, you're already on your way to building a better toolbox. The great thing about higher students is that they can most likely work independently. You can get them started on something and they’ll be on their way. What you need is a gift that keeps on giving when students are working independently. You don't want them to just complete busy work. Or as soon as they're done with their writing for the day- be done with writing for the day. Writing time is precious, so you need tasks that offer further learning opportunities. 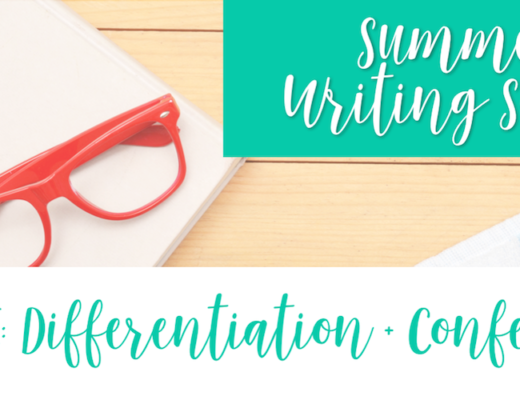 You want them to work on something intentional and focused that will help them continue to grow as writers. One of the greatest habits of writers is to read like a writer. If we can teach our higher-achieving writers to read like a writer on their own, then we've given them a writing gift that will keep on giving. 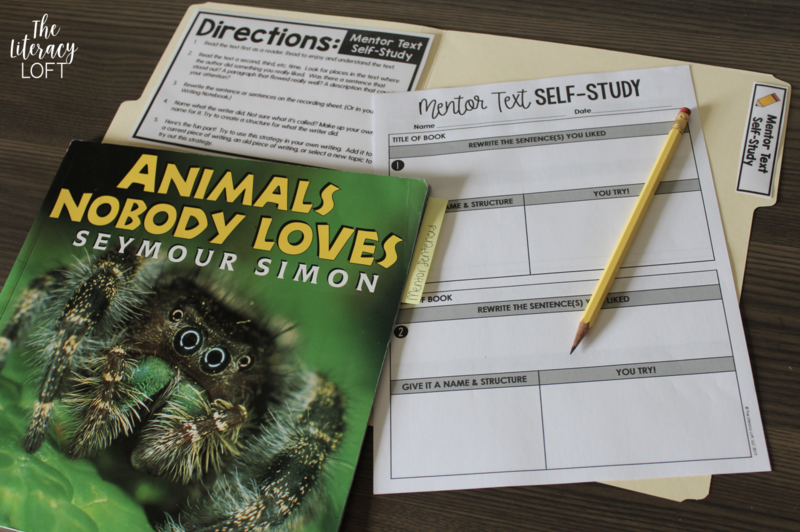 The mentor text self-study is a way to have students use a mentor text to look for places they can learn from other writers. 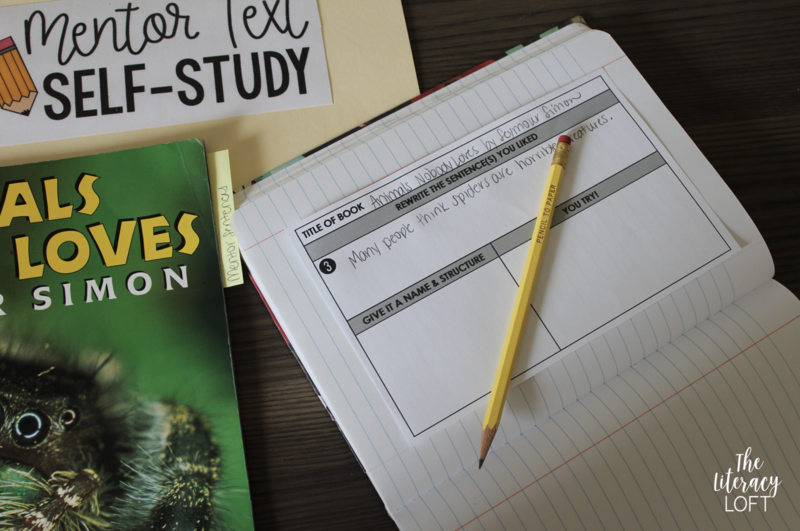 If you are already teaching students to read like a writer, this is a wonderful extension. 1. Teach this strategy in a small group first. This gives it more value and is not just another task they have to do to keep them busy. Note: The strategy may actually work better if the student selects the text. 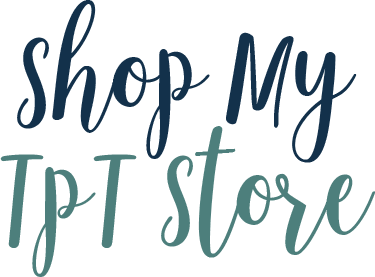 Encourage them to find a text they already enjoy as a reader and how it's written. This way they will be more invested in reading like a writer. 3. Students look for places where the author did something they really liked. They write the text in their notebook or use the sheet provided. 4. They give it a name and identify a structure of the writing. This will initially require instruction on how to study a mentor text, which is why you want to start this in a small group. This teaching strategy is an easy way to have the student grow as a writer independently. It might require some initial teaching, but once you teach this strategy, students can continuously use this as a writing task during independent writing. The freebie below gives you an idea of how you could organize this as a Writing Center. The beauty of this is that this strategy works with ALL writers, not just your higher-achieving writers. These can also be cut into half sheets and used to glue into students' Writing Notebooks. 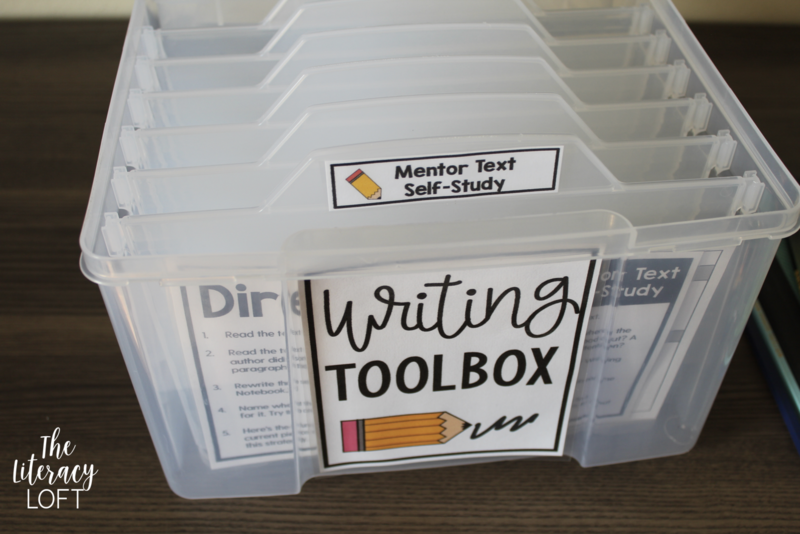 You can even use this as part of a Writing Toolbox (aka Writing Centers). This is a Recollections Greeting Card Keeper found at Michael's. You care. Simple as that. They are not done learning. By scheduling, you can first make sure that it happens. This will also give you time to prepare what you might teach them based on your observations, anecdotal notes, or something new that maybe you want to try teaching. Meeting with your stronger is an excellent opportunity for you to try out teaching something new as a teacher. 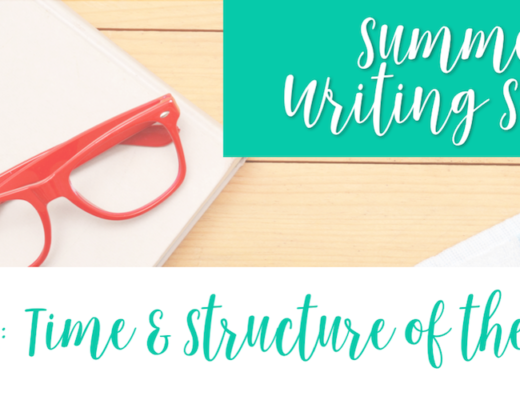 Not only are you going to grow as a writing teacher, but you're students grow as a writer. Win-win. Where could the writer be stronger? Are there places where it could be cut? Where is the writing most compelling? How could those places be expanded? How could that writing influence the rest of the piece? What themes or ideas is a writer addressing? Are there ways to address those things and more powerful ways? Use a cheat sheet with a list of teaching points that you can use as a go-to for teaching students strategies in a small group. This will help you feel more confident in teaching your stronger students. As your writing toolbox grows, your students' writing toolbox grows. A bonus strategy of using a cheat sheet is that you could also write some examples of each strategy in your own writing. That way you have an example and you've tried out the strategy –> As a result, you're a better teacher! 1. They are examples of what students their age can do for the rest of your writers. We can use them as mentor texts in our classroom. They can be used to model strategies where we might fall short or they have a little bit more weight because they come from students of the same age. 2. 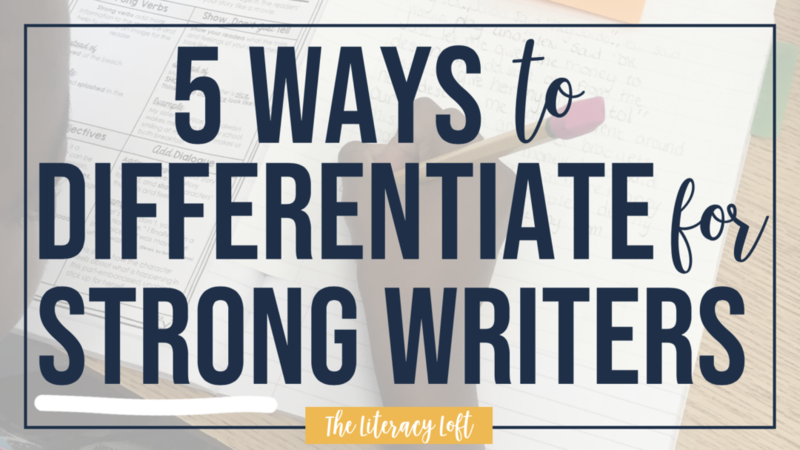 They are examples of what students their ability level can do for your stronger writers. You might even use these as mentor texts for these stronger writers. They could close read to identify writing strategies the writer used. You might also use as a mentor-text self-study. Write an opinion to write a letter to a government official to try to change a policy that you think is unfair. Students could research this topic, find out who they would write, and then write a letter. This reinforces that the skills and abilities they have as a writer can be used out in the real world and are not just for the classroom. 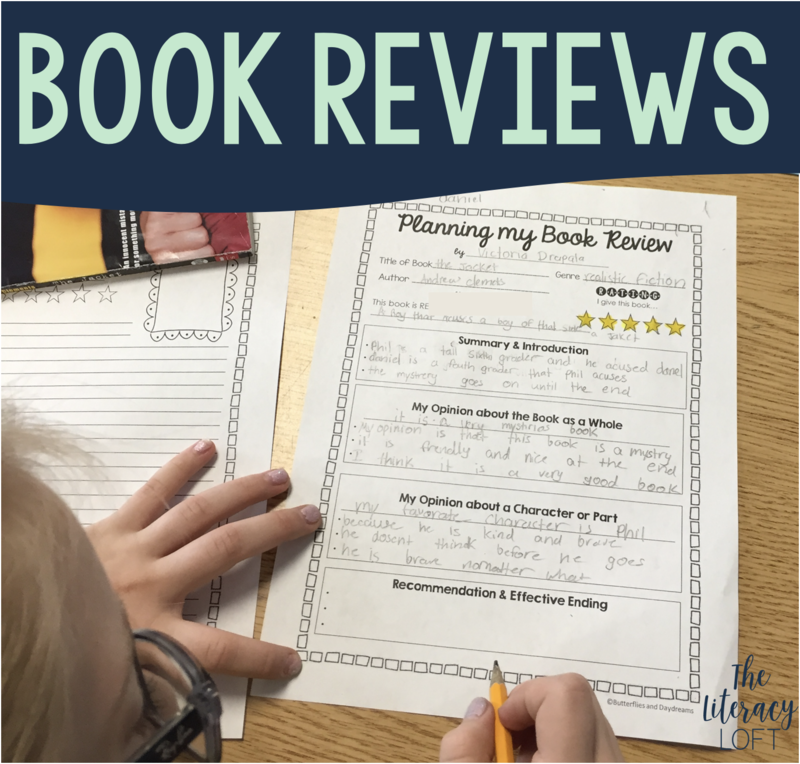 Write a Book Review share with their classmates on a classroom or school website. Write a blog post to educate other kids their age about ______. Select a mentor text they really love and use it for ideas to write their own personal narratives. Hopefully, I've shared several actionable tips that you can use inside your classroom ASAP. I'd love to know what other issues you are facing in your classroom right now or your favorite strategies to support your stronger writers. Leave a comment below. I love reading your comments. 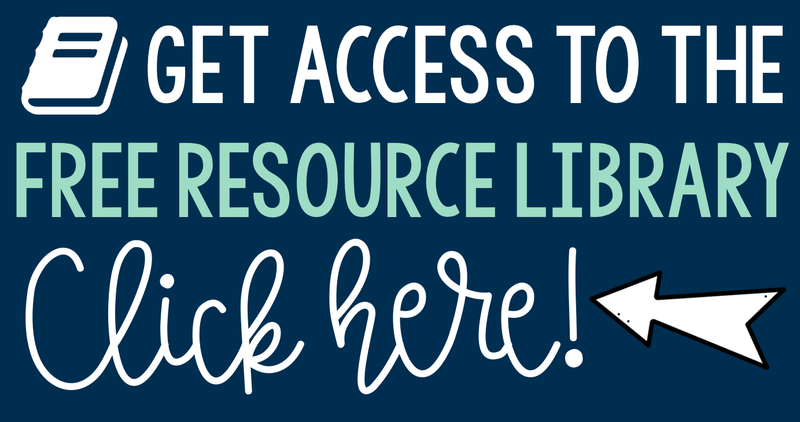 Be sure to grab your Mentor Text Self-Study Freebie! Let me know in the comments.